They reduce the processing load on the router. 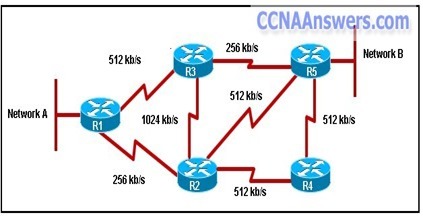 They simplify the configuration of inter-VLAN routing. They prevent routing loops and facilitate convergence. They identify traffic for multiple uses such as QoS and NAT. 1. An employee called the help desk to report a laptop that could not access a web-based application on the Internet. The help desk technician asked the employee to open a Windows command prompt and type the ipconfig /all command. Which problem-solving technique did the technician choose? Refer to the exhibit. Given the output generated by the debug ppp negotiation command, which statement is true? The line protocol of the local router is now up. The hostname of the local router is Goleta. 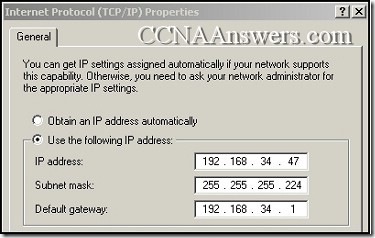 The command ppp authentication pap is configured on both routers. The local router requested to terminate the session. 1. Which wildcard mask would match the host range for the subnet 192.16.5.32 /27? Refer to the exhibit. The new security policy for the company allows all IP traffic from the Engineering LAN to the Internet while only web traffic from the Marketing LAN is allowed to the Internet. 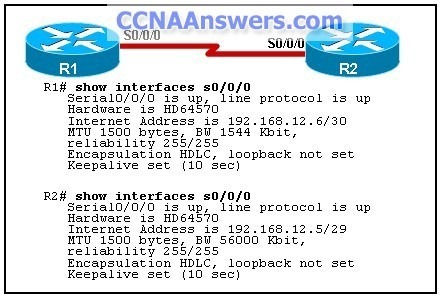 Which ACL can be applied in the outbound direction of Serial 0/1 on the Marketing router to implement the new security policy? 1. 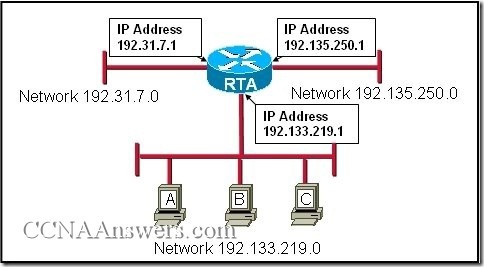 If a network has converged, what is true about the link-state database held by each router in the same OSPF area? Each router has a link-state database containing the same status information. Each router has a different link-state database depending on its position within the network. The link-state database is stored in a designated router and is accessed by each router in the area as needed. The link-state database in each router only contains information about adjacent routers and the status of their links. 2. 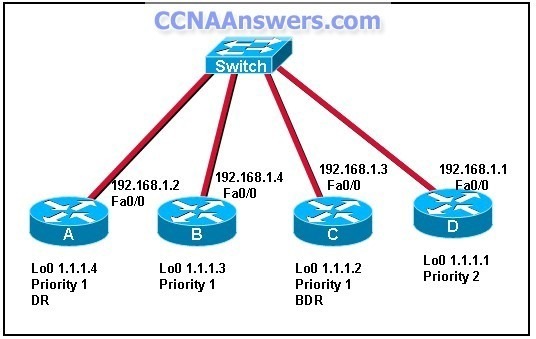 What is always required for OSPF routers to share routing information? Refer to the exhibit. The routers are configured with EIGRP and with default K values. 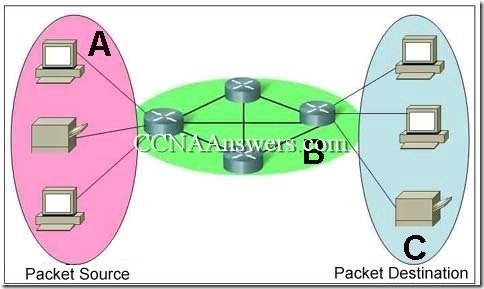 What is the routing path for a packet from network A to reach network B? 2. When running NAT, what is the purpose of address overloading? 1. Which statement describes a difference between STP and RSTP? RSTP is proprietary while STP is defined by IEEE. RSTP defines four port states while STP defines five port states. When a topology changes, RSTP reconfigures the spanning tree in less than 1 second. STP is more commonly used in large switched enterprise networks that require faster recovery. 2. In an enterprise network, why would voice traffic typically require a dedicated VLAN? It guarantees end-to-end delivery for voice traffic. It guarantees higher bandwidth for voice traffic. It separates voice traffic from data traffic so data traffic does not impact voice traffic. It provides backup support for voice traffic because voice traffic is more critical than data traffic. 2. An investment company has multiple servers that hold mission critical data. They are worried that if something happens to these servers, they will lose this valuable information. Which type of plan is needed for this company to help minimize loss in the event of a server crash? 1. The ABC Corporation implements the network for its new headquarters using the Cisco Enterprise Architecture. The network administrator wants to filter the traffic from and to the outside world. Where should the administrator deploy a firewall device? 2. How does a VPN work to support remote user productivity? It uses SSL to encrypt remote user logins to the corporate intranet. It uses secure Telnet for remote user connections to internal network devices. It creates a virtual circuit that allows real-time communications between any two Internet endpoints. It uses encapsulation to create a secure tunnel for transmission of data across non-secure networks.